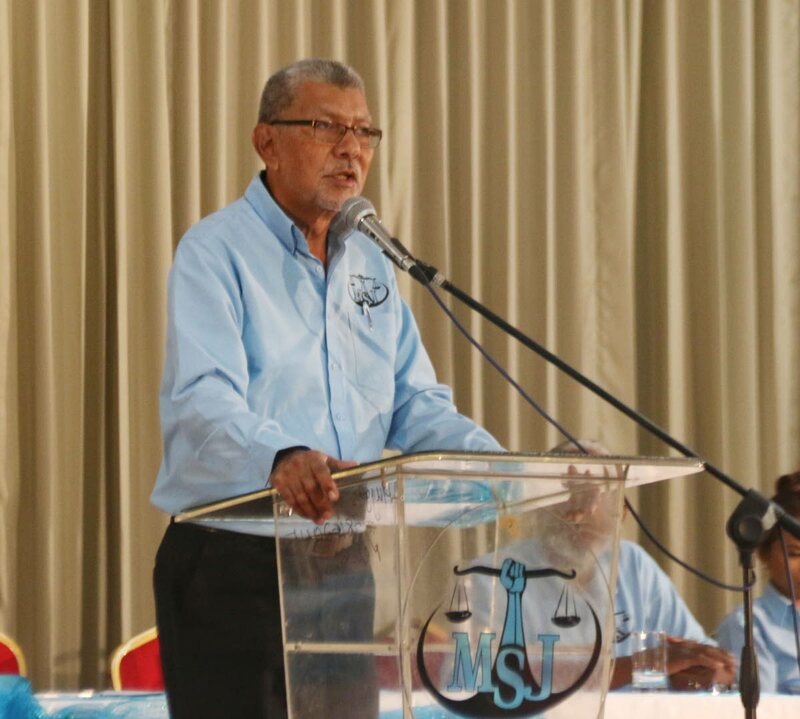 THE RIGHT CHOICE: David Abdulah, political leader of the MSJ, speaks at the party’s National Assembly held at the Harewood Dolly Hall, Harris Promenade, San Fernando on Sunday. 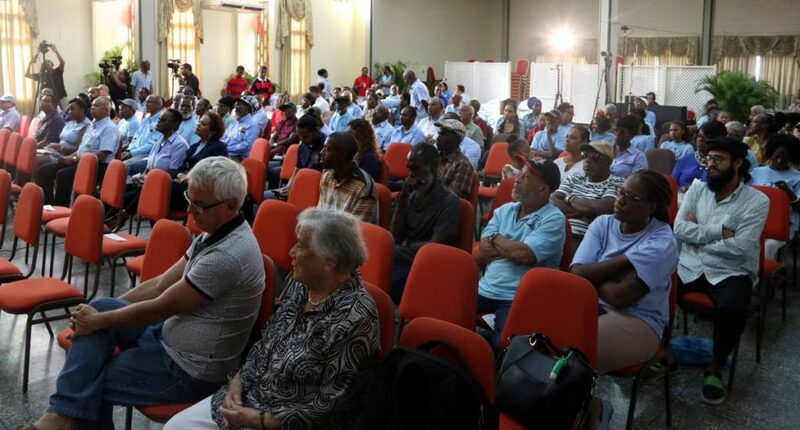 MOVEMENT for Social Justice (MSJ) political leader David Abdulah says the party is the country’s only viable alternative in the 2020 general election as both the ruling PNM Administration and the Opposition UNC are the flip sides of the same coin. At the MSJ’s National Assembly at the Harewood Dolly Hall, St. Paul’s Anglican Church, Harris Promenade, San Fernando on Sunday. Abdulah accused the United National Congress and the Peoples National Movement of being involved in corruption, and said he and former Attorney General Ramesh Lawrence Maharaj had “laid out the blueprint” to the Dr Keith Rowley government to stamp out corruption. Members of the MSJ listen attentively during the party’s National Assembly. “If Brother Ramesh Maharaj was here, he would tell you that he and I went to meet the PM and Stuart Young, and Ramesh laid the blueprint for getting at all those who were past and present involved in corruption. “The government did nothing because they knew that to go after corruption does not only mean going after UNC people, it also means going after PNM people because we were proposing a special prosecutor like what you see in the US. They have a special prosecutor, (Robert) Muller and he is supposed to be investigating the issue of Russian interference in the (US) elections. Abdulah said the MSJ would “restructure and re-engineer” the country to ensure that the vast majority of people were able to have decent paying jobs. Reply to "Abdulah: MSJ only viable option for TT"